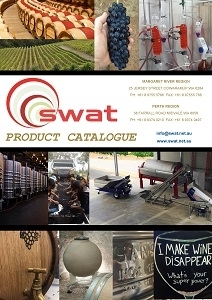 SWAT Winery & Vineyard Supplies are proud and excited to announce that we are now suppliers of Zambelli’s diverse range of excellent quality Enological equipment. With a strong tradition of over 100 years ZAMBELLI ENOTECH (founded in 1888) is a reliable reference point in the Italian market and abroad, for machinery and equipment of the highest quality in the industry wine, fruit and oil. Zambelli’s broad range includes: Pumps, Crushers, Destemmers, Presses, Refrigeration, Filtration, Storage, Bottling, Fruit Reception / Sorting and more! We are now taking orders for the upcoming vintage. Contact us for pricing and information.